WATERLOO – Wilfrid Laurier University is ranked No. 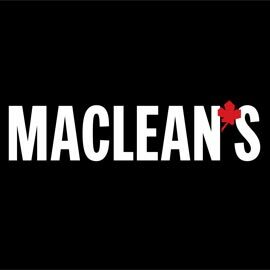 1 in the country in its category for student satisfaction in the annual Maclean’s Rankings of Canadian Universities. Laurier also improved in five other key national rankings: overall reputation, best overall, highest quality, most innovative and leaders of tomorrow. Within student satisfaction, Laurier ranked No. 1 in its category for extracurricular activities, residence living, student-life staff, course instructors, academic advising, mental-health services, and bureaucracy (least red tape). As well, Laurier ranked third in its category nationally for steps taken to prevent sexual assault. Overall, the university placed in the top 10 in its category nationally and in the top five in the province. Laurier also ranked in the top 10 in its category nationally for faculty awards, social sciences and humanities grants, operating budget, library expenses, library acquisitions, scholarships and bursaries and reputational survey. Wilfrid Laurier University is a leading Canadian university with a strong commitment to teaching, research and scholarship combined with a strong student focus, high levels of student satisfaction and a deep sense of community. It has combined undergraduate and graduate campuses in Waterloo and Brantford, as well as graduate social work programs in Kitchener, an office in Toronto, a part-time MBA program based in Toronto, and an office in Chongqing, China.